As an avid solo traveler, I am always looking for special places to travel to for a relaxing and memorable getaway. As a lover of warm weather, I tend to gravitate to the tropical climes when looking for a resort destination. Beginning in America in the late 1800's, the concept of resort vacationing was becoming fashionable amongst the wealthy which precipitated the construction of many of these types of developments along the Atlantic coast. One of the largest and most grandiose was the Boca Raton Resort and Club. While most of these early developments have now vanished, the Boca Raton Resort and Club is still alive and well today. I spent two days at the resort checking it out on my Miami to Maine solo driving adventure. As you approach the guard gate, it is clear you are entering an exclusive, exotic place. The historic, Spanish Revival pink hotel brings to mind you will literally be sleeping in a pink palace and the experience is going to be grand. The beautifully landscaped, well-manicured front lawn, the historic and modern sculpture pieces and the Maserati service cars parked out front fuel your approval quotient. You instantly know your stay will be memorable. As you enter the light-filled lobby you are in a good space mentally. The beauty of this historic interior sprinkled with contemporary design elements is a total delight. I was eager to check in and start exploring this exotic resort. Addison Mizner, known as society's architect, was a bon vivant. Born in 1872 into upper-middle class family where his father was a well-traveled lawyer and diplomat, Mizner was introduced to other cultures and different architectural styles while on family trips around the world. Mizner's early career was focused on designing Long Island country houses, elaborate summer camps in the Adirondack Mountains and homes for well-healed New Yorkers. For health reasons, at the age of 46, he moved to sunny Palm Beach. It is here where he developed his distinctive Mediterranean and Spanish Revival architectural styles, which led to him becoming the most famous resort architect of his day with the development of the Boca Raton Resort and Club. Early ultra-wealthy American investors in the Boca Raton development included T. Coleman du Pont, Elizabeth Arden, and Harold and William Vanderbilt. The resort was designed to be the world's most beautiful playground with grand hotels, several golf courses, tennis and croquet courts, a polo field, a marina, a beach on the Atlantic Ocean and plenty of shopping venues; everything the creme de la creme of world society would want to escape to and enjoy. Additionally, Mizner himself was a draw to the development with his eccentric behavior. He was often seen on the resort grounds dressed in flamboyant silk pajamas, his favorite daywear attire, and with his pet monkey, Johnnie Brown, on his shoulder. The resort’s initial development, The Cloister Inn, opened on Christmas Eve in 1925, as the world's most expensive 100 room hotel. However, the 350-acre tropical playground's success was short lived. The following year, the development declared bankruptcy that was largely blamed on the American Great Depression. One of the initial investors bought the debt-ladened resort at auction for a bargain price. Subsequently, throughout the last 90 years investors and investor groups have bought and expanded this resort, refurbishing and updating it along the way. 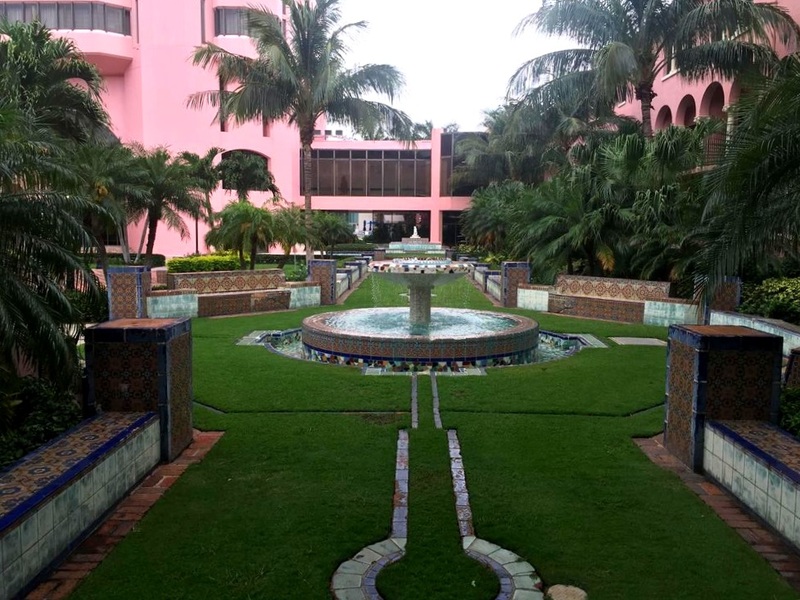 One of the most dramatic additions occurred in 1969 when Arthur Vining Davis of the Arvida Corporation bought the resort and built the ultra modern pink tower to maintain traveler interest for more contemporary accommodations. A beautiful roof top restaurant, large, plush rooms with expansive views as well as a trendy poolside bar and grill provided new glamour to the historic property. 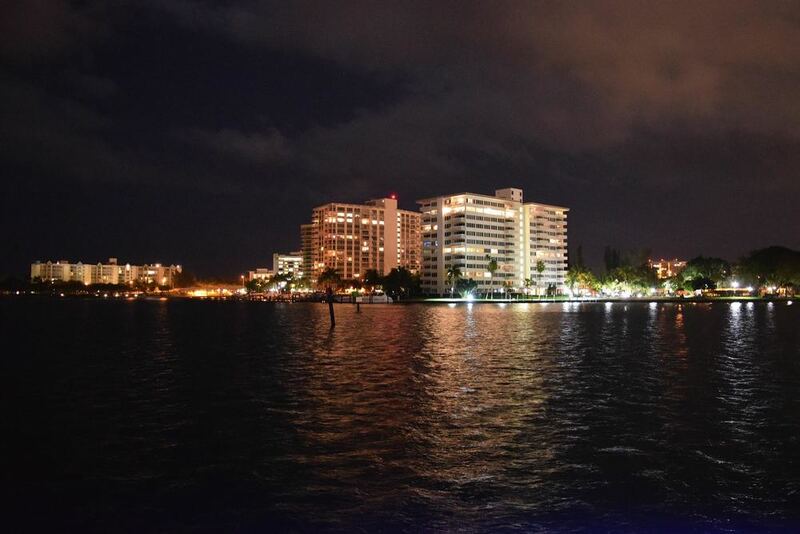 The contemporary tower was built next to the updated marina which provided easy access for yachting or ultra-private guests. An interesting tidbit is the pink tower was the setting for the movie, "Parker," staring Jennifer Lopez. The tower and the marina continue to be a popular draw for the resort. Subsequently, a seaside hotel complex, the Boca Beach Club, was built on the Atlantic Ocean. For resort guests who prefer an ocean view room with a balcony, this part of the complex fulfills this desire. Two large, social-oriented swimming pools, an expansive, private beach, outdoor dining spaces and sleek, sophisticated lounging interior spaces are additional appealing features of the Boca Beach Club. Currently, the 1,047-room development is owned by the Blackstone Group and is part of the Waldorf Astoria Hotels and Resorts by Hilton. It is described as "Two World Class Resorts - One Experience." Numerous shops offering a large selection of resort wear, souvenirs and gifts. A full-service marina and ocean club providing boating, sailing, jet-skiing, kayaking, snorkeling, and parasailing options for water enthusiasts. One of the newest additions is the FlowRunner Wave simulator which lets you practice and perfect your surfing skills . 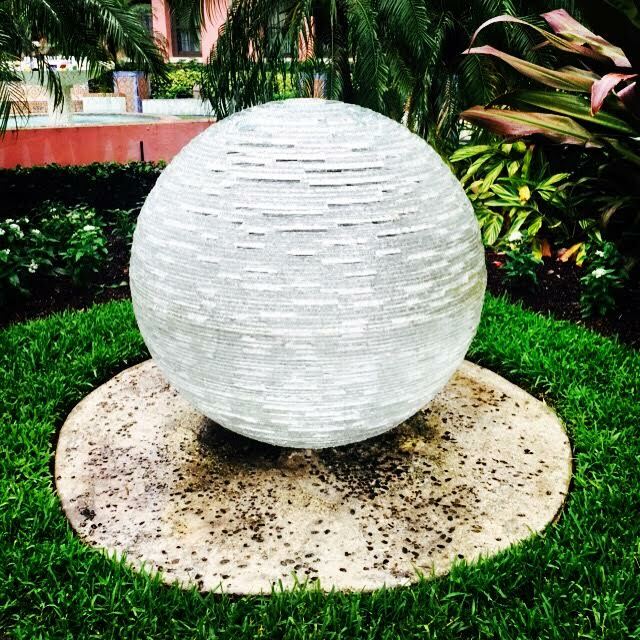 The Boca Raton Resort and Club is great for the solo traveler because you could spend nearly the entire time on the resort grounds and still have a fabulous time. Many people believe that pictures speak louder than words. Instead of becoming too wordy in this blog trying to adequately describe this enormous, one of a kind destination resort, I will share the many photos taken from my last visit which I believe will paint a compelling picture of the essence of this pink paradise. Photo collages are a good way to decide whether you want to visit a certain destination. Additionally, TripAdvisor has designated the Boca Raton Resort and Club as one of it's Hall of Fame property recommendations and has given the resort it's Certificate of Excellence for the last five years. "Luxury and history" combined is how TripAdvisor describes this getaway destination. 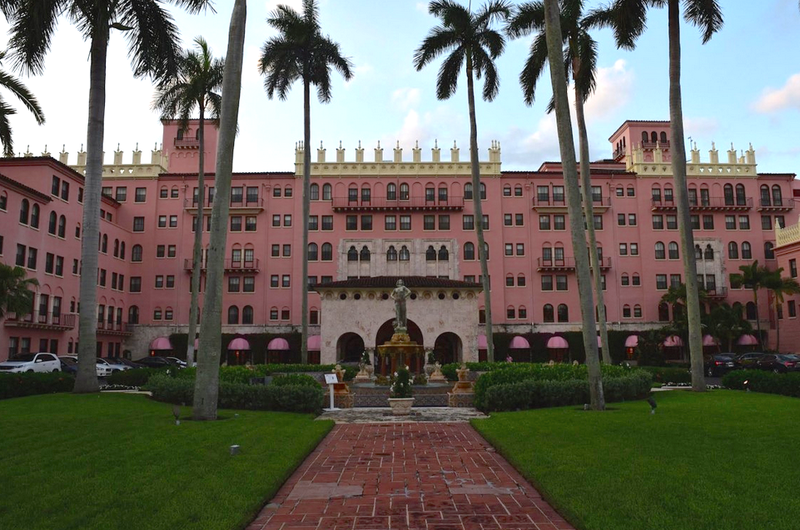 Addison Mizner set out to develop the greatest resort in the world. The fact that it is still on the travel critics' top resort list is a testament to its grand conception and continued popularity. If you are seeking a place to escape to that is luxurious and affordable, consider the Boca Resort and Club. Rates start at around $165 depending on your season of travel. 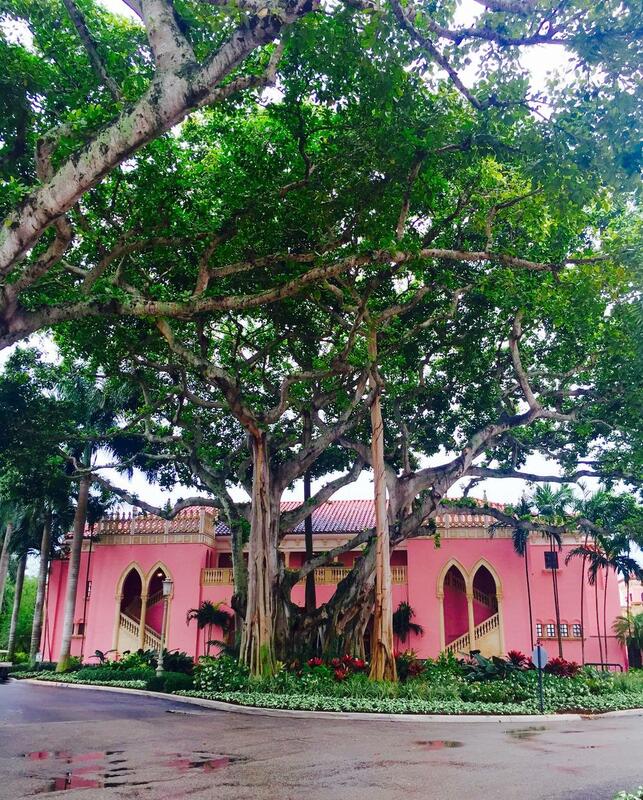 You can't find a better deal with more amenities and services than Boca Raton's historic Pink Palace. For an additional visual understanding of what is offered, enjoy the following video. Click here to check pricing and booking availability on Booking.com.